FinnU has no admission deadlines because we believe you should take as long as you need to make your college decision. We'll welcome you with open arms when you do. Want to learn more about Finlandia? Choosing a college and degree is stressful. We work with you to make the process as easy as possible, which is why we don’t set application deadlines. Applications are accepted at any time and acceptance decisions are made on a rolling basis. To ensure everything can be done in time, we suggest getting started on your application process as soon as you can. 1. Fill out the application – This FREE online form can be filled out in approximately 10 minutes. 2. Submit supporting information – An admissions officer will be assigned to you and request you submit your official high school transcripts, college transcripts (if needed), and official SAT or ACT scores. 3. Figure out financial aid – 100 percent of full-time students who attend Finlandia receive financial aid. Our financial aid staff will help determine how they can help make a Finlandia education affordable for you. This incredible scholarships helps establish FinnU as a transfer-friendly leader in the Midwest and beyond. Finlandia is offering a $10,000 scholarship for students bringing in at least six transferable college credits. This scholarship, unheard of for any university, is available to students coming from anywhere in the world who bring in at least six credits. 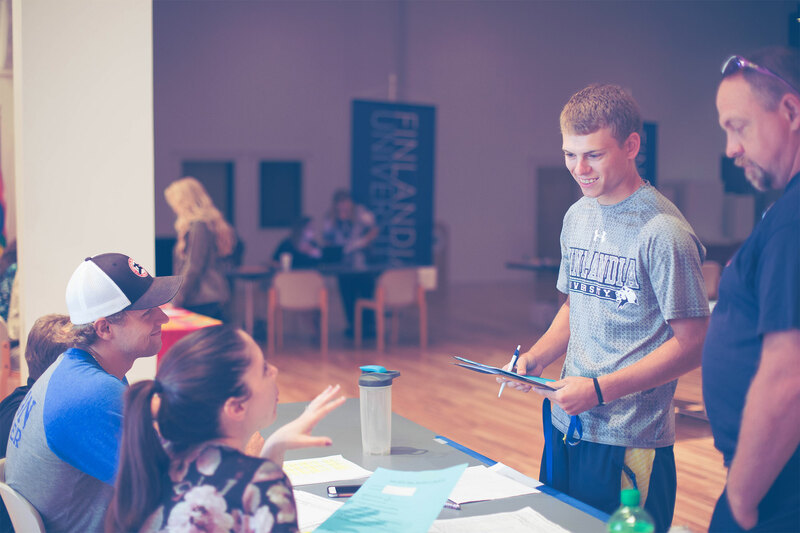 At Finlandia University, we’re always willing to go the extra mile to make sure every student has the opportunity to learn. With over 20 majors to choose from in art & design, health sciences, business, and natural and social sciences, FinnU can cater to whatever career you may be interested in pursuing. 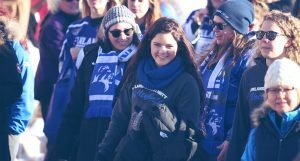 See how Finlandia’s uncommon attention, small courses and 12 NCAA athletic programs provide students with the optimal college experience and set them up for career success. *If you do not meet these standards, contact our admissions team to learn about your options.